For coming in the World Market Winter Brew Pack, this was kinda the odd ball out. There was nothing wintery about the bottle and I seriously had to try and find some winterness just to comment on it. 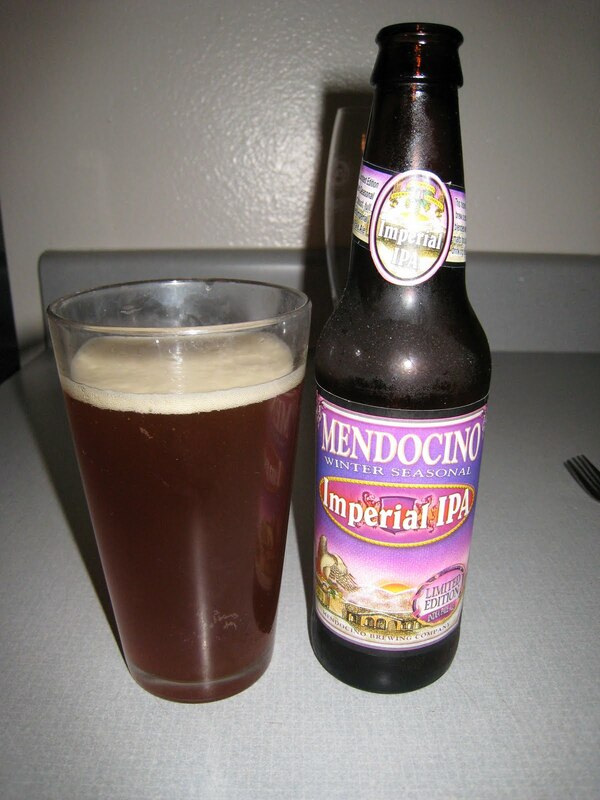 The Imperial IPA has a seriously complex hop profile that only a truly experienced beer drinker can start to analyze. On the website, they say it has "massive amounts of premium varieties of hops such as Amarillo, Cascade, Simcoe and Crystal". Well pardon my french, but I'll be damned. The smell is very citrusy and floral and the only way to describe the taste is as a mix between Sierra Nevada and a stereotypical IPA. I did find some nutmeg in there, so winter it up. It's hard telling a 9 year old he's got aids.